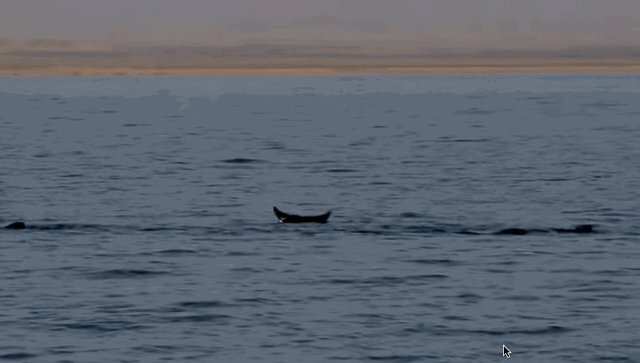 Even after decades of being closely studied in the wild, many dolphin behaviors still defy easy explanation, and this is one of them. A team from the Red Sea Dolphin Project recently captured video of a small pod of Risso's dolphins off the coast of Egypt engaging in what researchers call "head-standing" -- bobbing vertically in the water so that their tails break the surface. But why would they be doing this? The Dodo reached out to several dolphin experts to weigh in on the purpose of this bizarre behavior, but none could say for certain. Rick O'Barry, Campaign Director of the Dolphin Project, offered perhaps the simplest and most satisfying explanation: pure amusement.